I am a freelance writer and cartoonist with over 100 publication credits, including books, national magazines and radio. I've written and drawn cartoons all my life. By the time I was twelve, I'd written over 100 short stories, four novels, created countless cartoons, charcoal drawings, and reviews, not to mention ballots and other things. 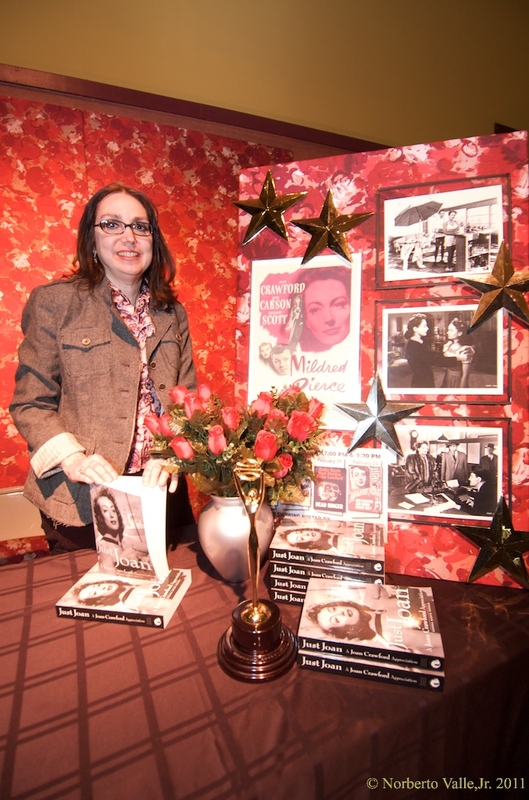 Aside from fiction and nonfiction, I also am a theater reviewer for Broadwayworld.com and a former book reviewer for Kirkus. I'm an active member of Mystery Writers of America. This page will detail a little bit of my work. 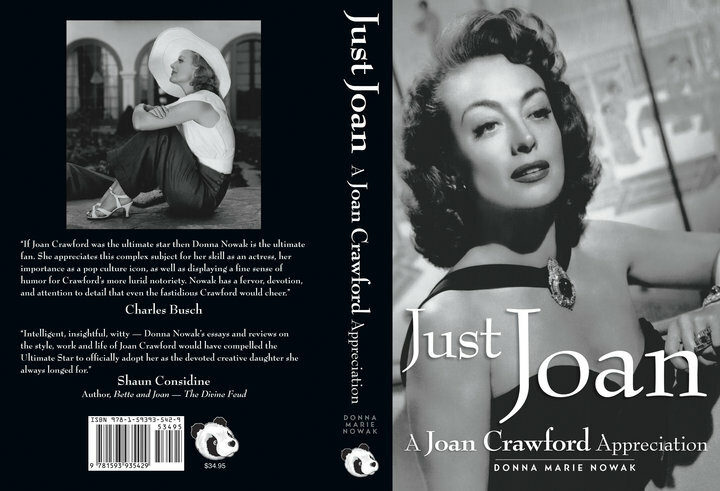 JUST JOAN: A JOAN CRAWFORD APPRECIATION is the ultimate Joan Crawford Bible, examining Crawford’s work, influence, life, and image in meticulous and loving detail. Illustrated with over 300 photos, many of them rare and never before in print, JUST JOAN is a compilation of over four years of comprehensive research, culled from rare Lincoln Center archives, original magazines and those who knew her. Crawford is examined as a feminist forerunner, a gay icon, a dynamic artist, and as one of the world’s great movie stars. The many anecdotes and quotes within JUST JOAN reveal the sassy, indomitable spirit of this actress who grew up in abject poverty with an indifferent family and yet, against unseemly strife and setbacks, rose from the ashes like a phoenix. Her determination, talent and committed work ethic enabled her to find a career and home with what would be one of the most celebrated and powerful studios in film history, MGM. Hers is the moving, complex story of the pursuit and realization of the American Dream, part sublime, part nightmare, self-actuated. With rich detail and devotion, JUST JOAN bears testament to Crawford’s enduring enigma and powerful star. A beloved clown, Bombu, is found murdered in Clown Alley. Many in the close-knit circus family believe the murderer to be Mack the Knife, the inscrutable knife thrower known as the "Dark Horse." One of his knives, now missing, struck the fatal blow and he was the last one seen with Bombu. But 15-year-old showgirl Ruby Evangeline Divine is determined to uncover the secret Mack so carefully hides. 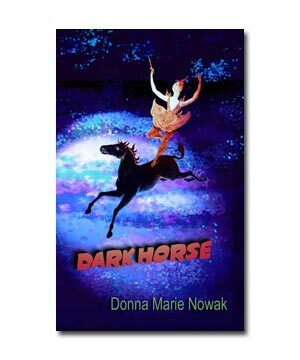 In turn, she discovers that the real dark horse is the circus itself, where nothing -- and no one -- is as appears to be. At the time that I wrote Dark Horse, one of my closest friends was a showgirl in Ringling Brothers, Barnum & Bailey Circus and I wrote an extensive article on circus clowning for Dramatics Magazine, featuring her then-boyfriend -- a clown and master magician -- on the cover. I'd also met an aerialist for a major circus who became the basis for my character, Venus. Even a child knows that evil exists, sensing goblins and witches and monster’s hands that come out from under the bed when all the monster-blind adults have gone safely back to their rooms and the lights are turned off. Darkness is the safe haven and opportunity for dark spirits to come to life, the twin of death the way light is the twin of life and spirit and creation. Yawning between the cracks of the Technicolor world, the world of lights and color and goodness, is darkness and if one wasn’t careful, one would fall into the dark eye. I knew this as a little girl, sweating under my fortress of blankets. MORE TO COME! Page still in progress!